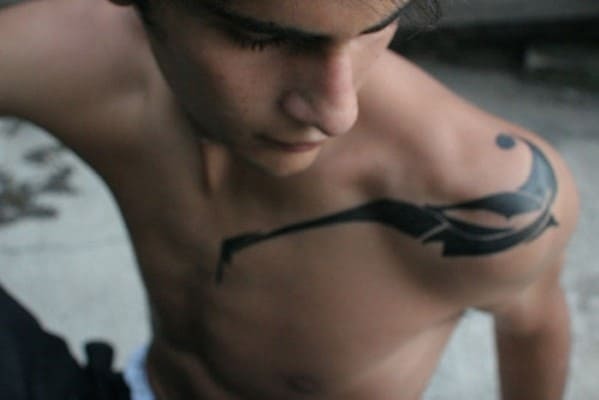 It’s no different than signing a paper contract with a pen… Because the moment the ink hits your skin, it becomes it a real commitment. 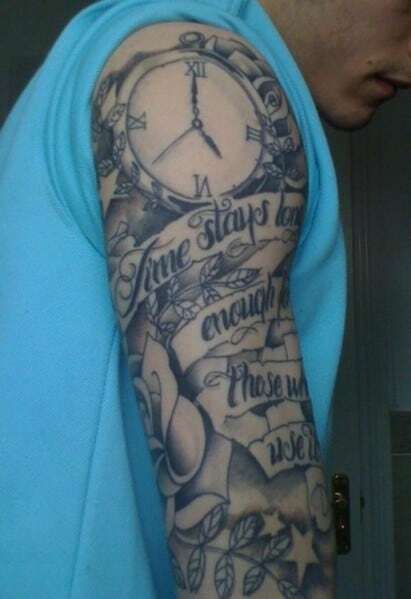 And just about every man knows how expensive, time consuming and uncomfortable tattoo removals can be. 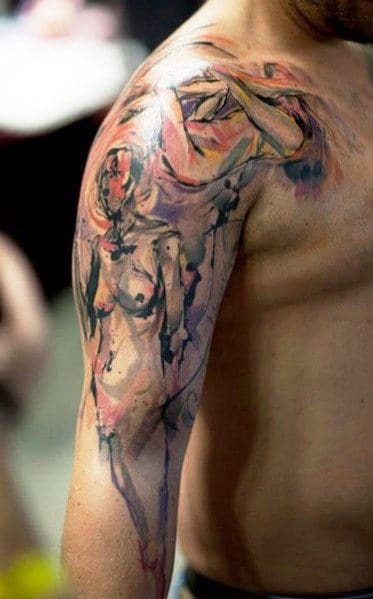 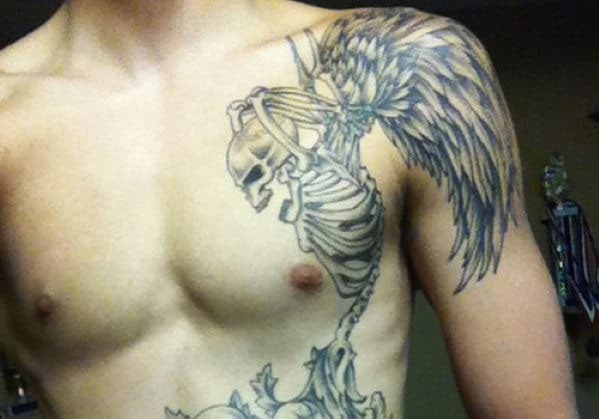 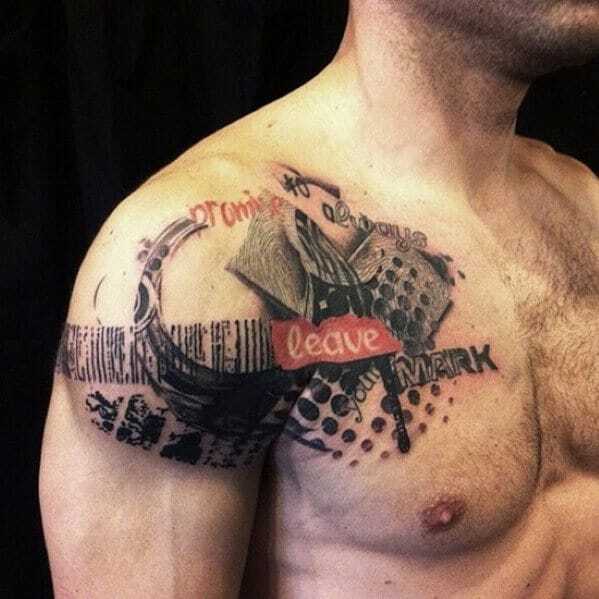 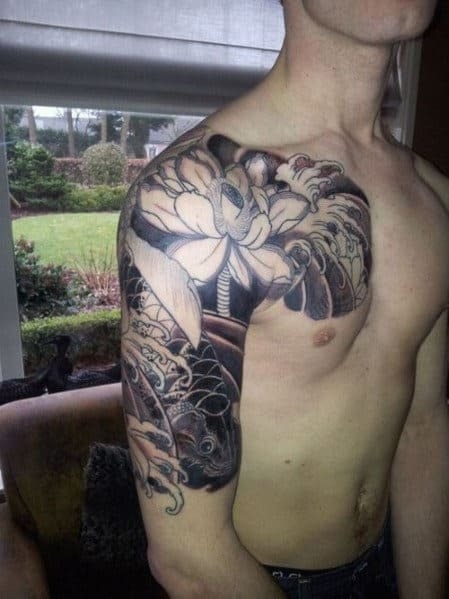 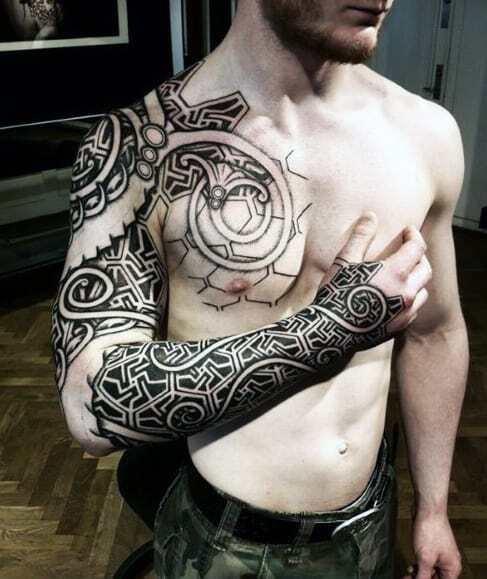 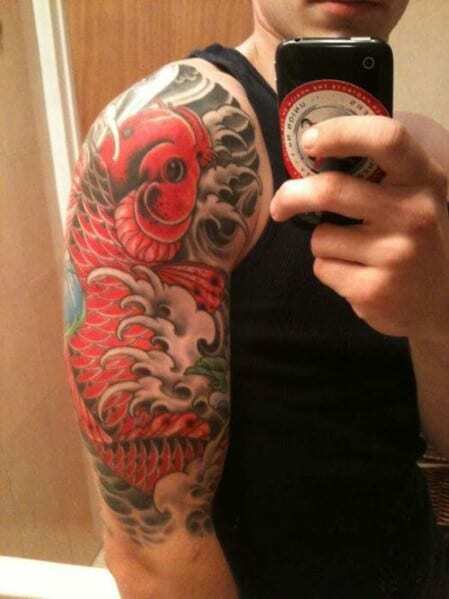 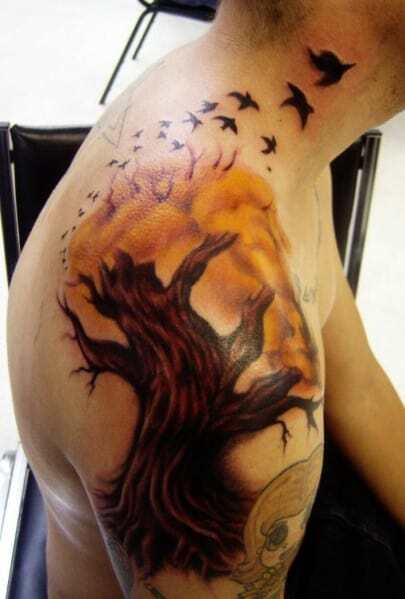 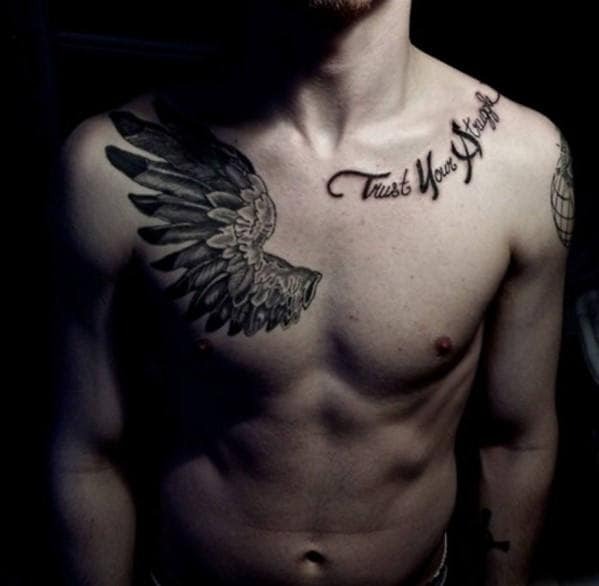 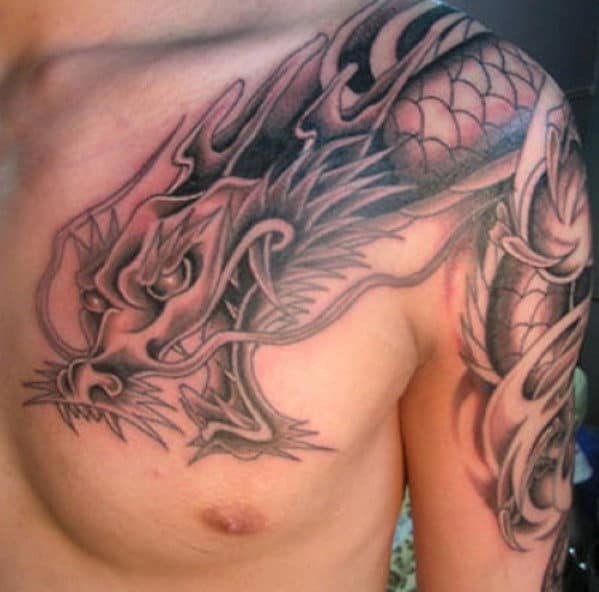 But when you want to avoid that hassling process, all it takes is knowing what tattoo will suit you best down the road. 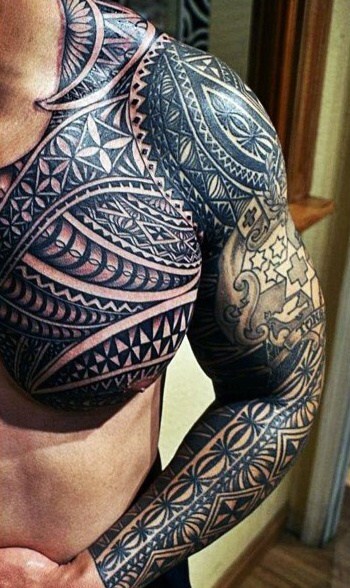 In order to help you out, I’ve put together a photo guide of the top 50 best shoulder tattoos for men. 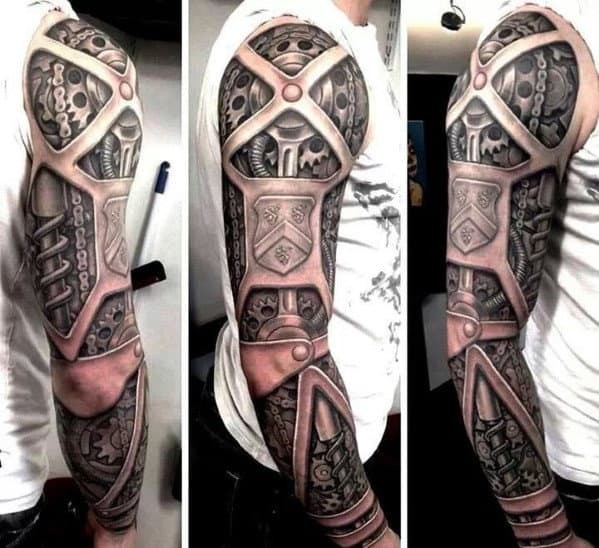 Some are technically sleeves on the arm, others cross onto the back and chest area, but nonetheless my goal for you is to get some fresh inspiration and ideas going! 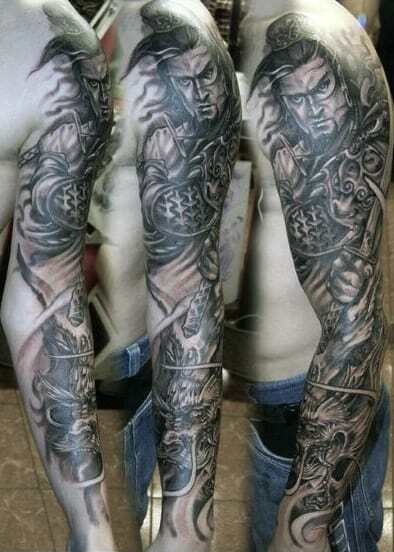 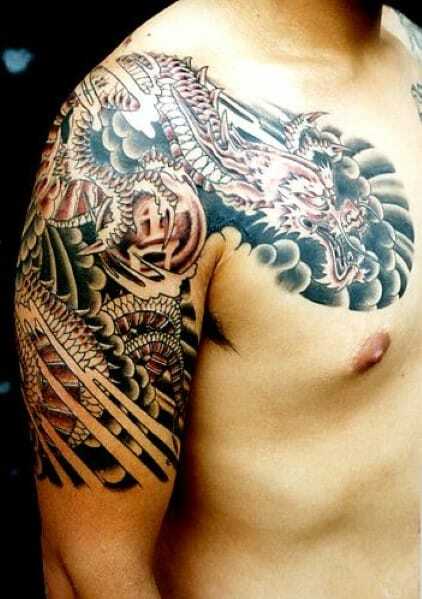 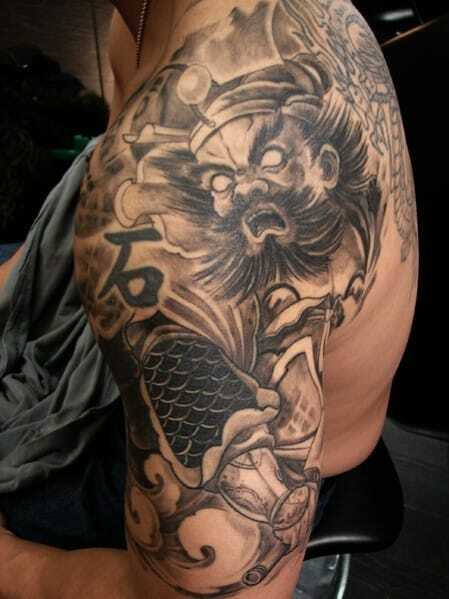 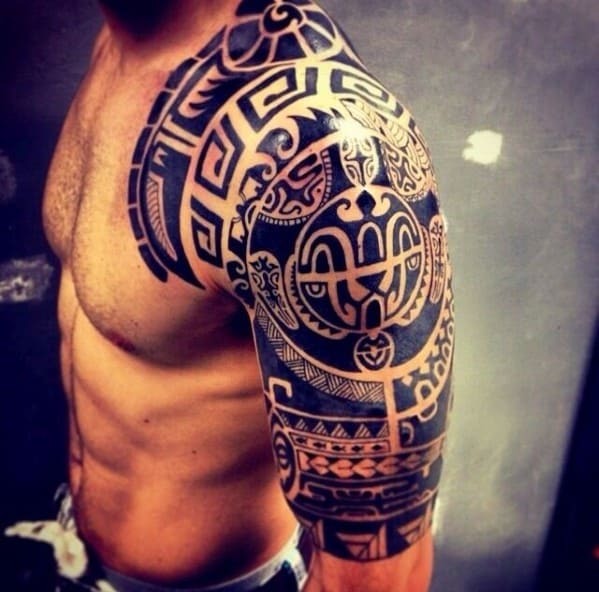 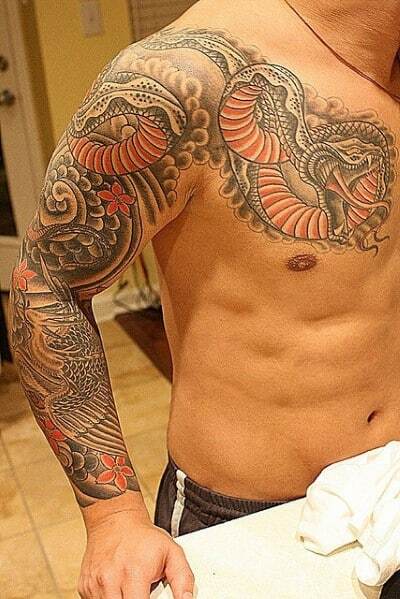 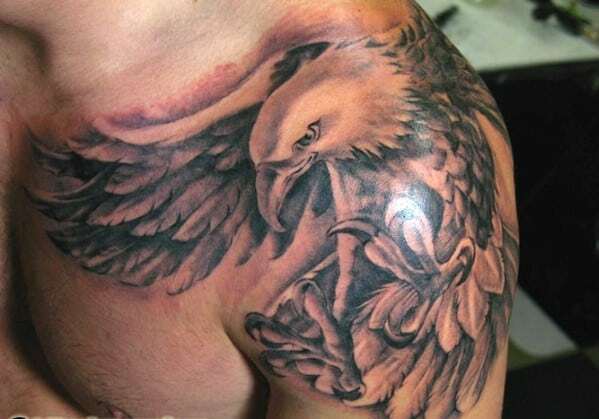 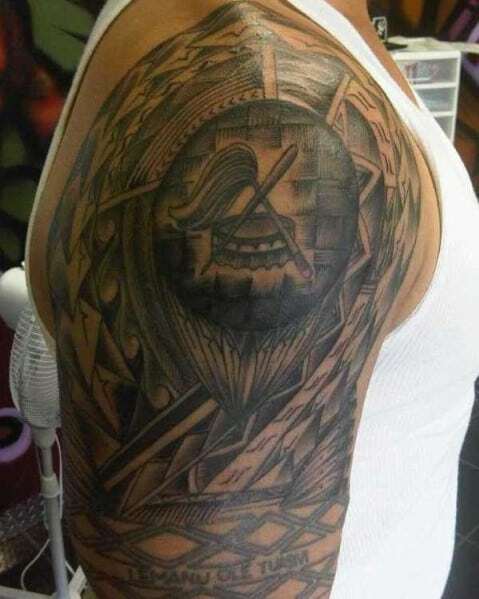 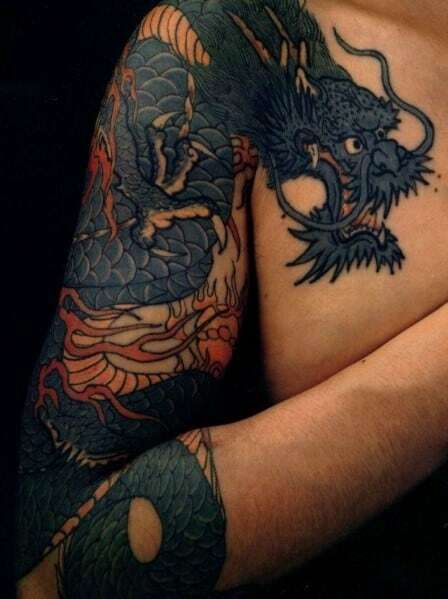 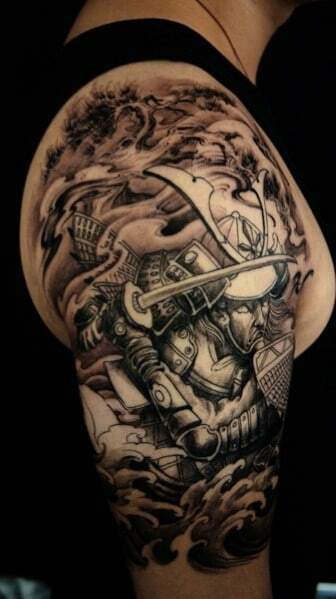 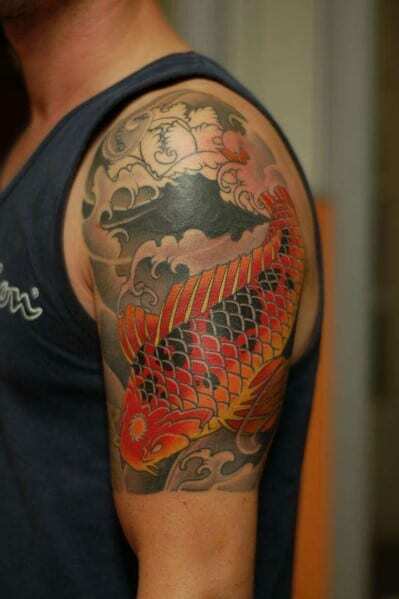 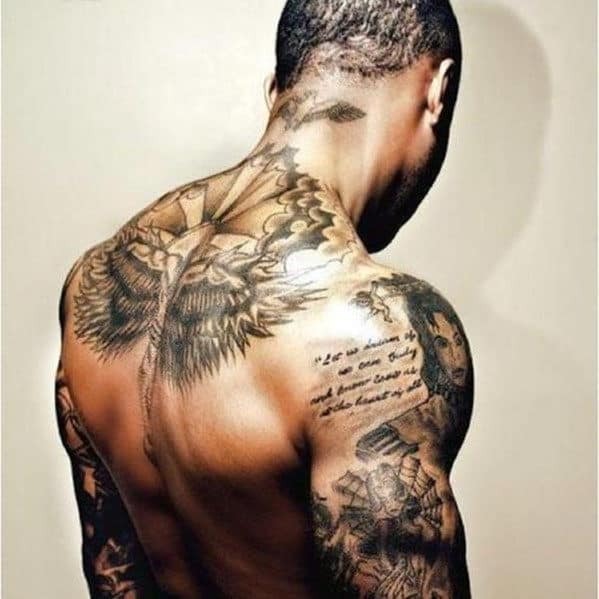 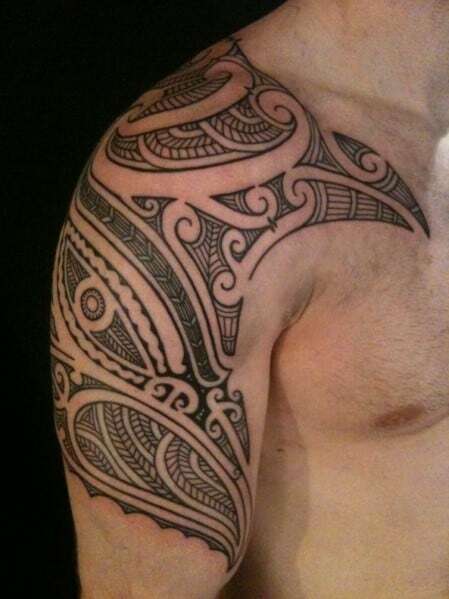 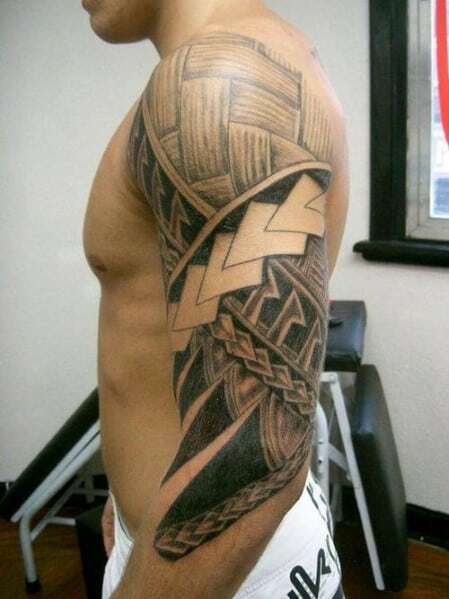 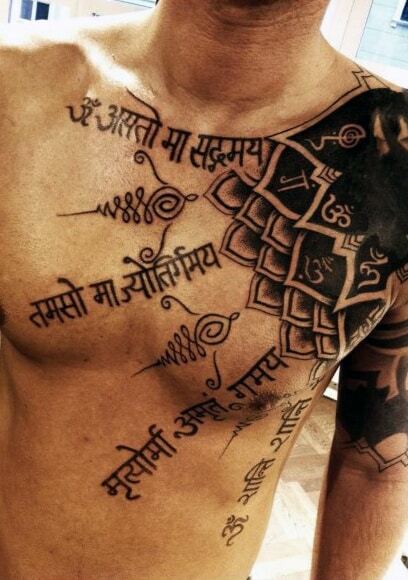 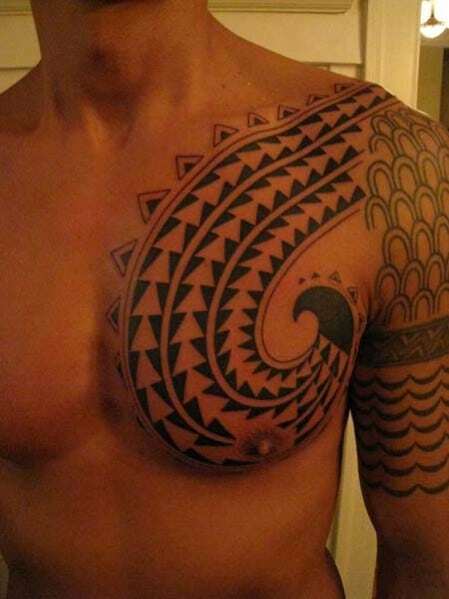 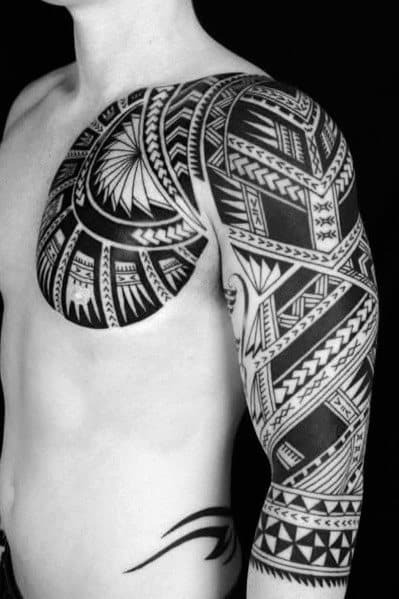 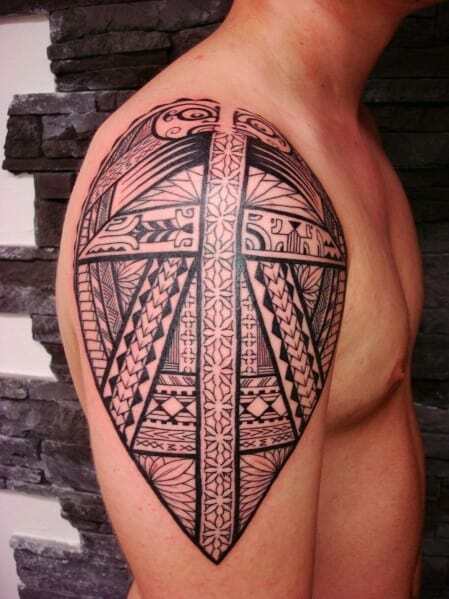 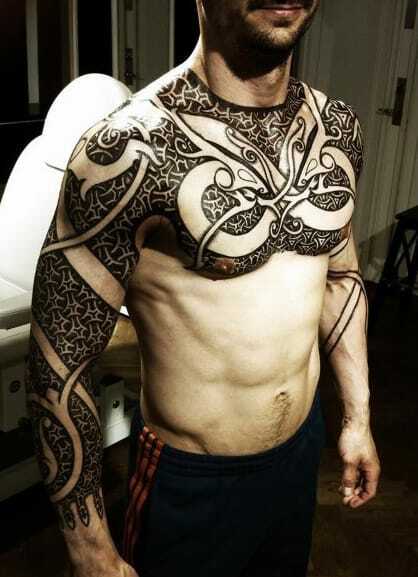 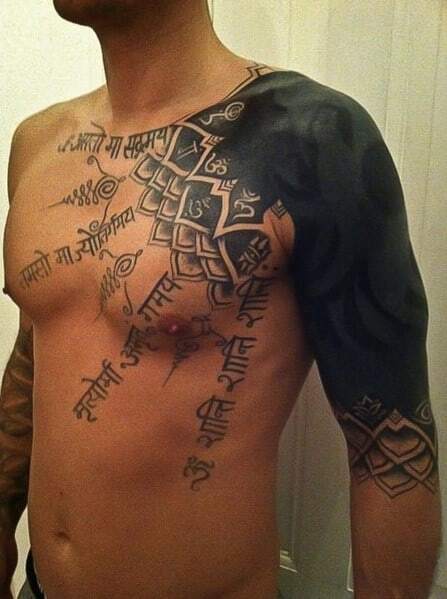 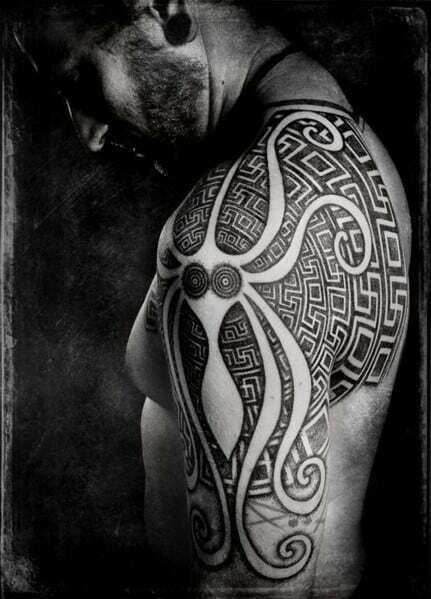 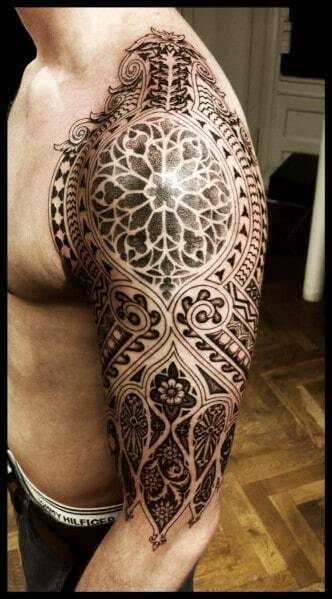 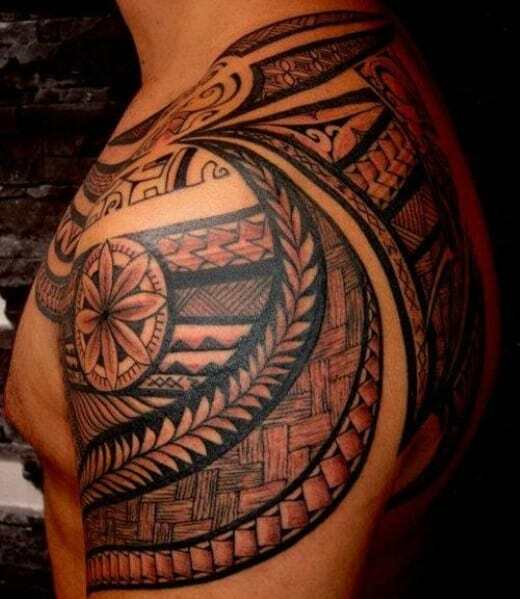 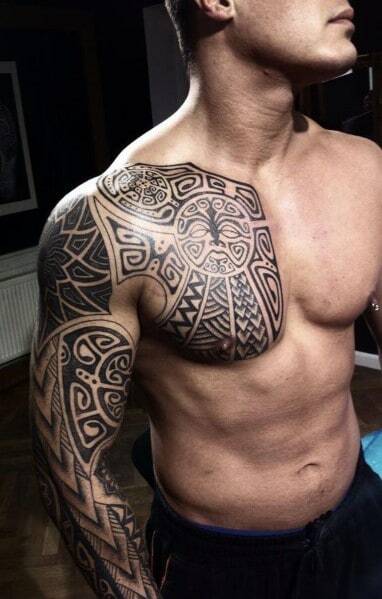 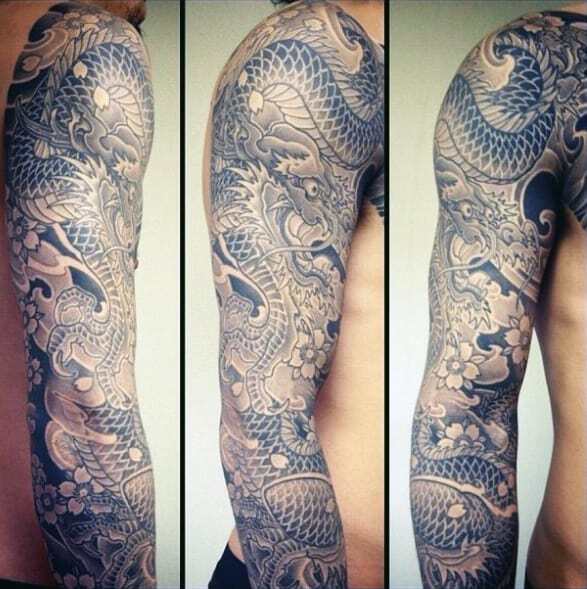 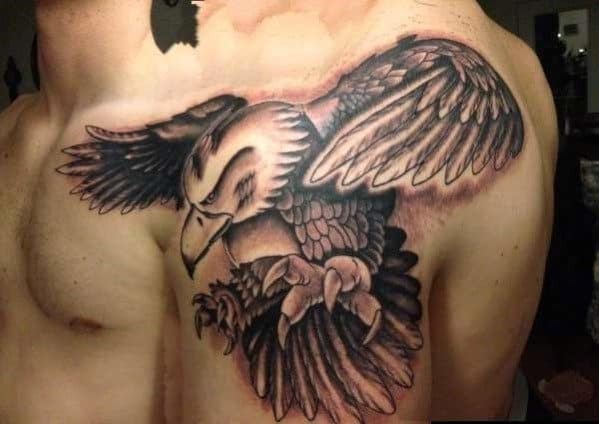 Each men’s shoulder tattoo features distinctive styles, designs, shapes and sizes. 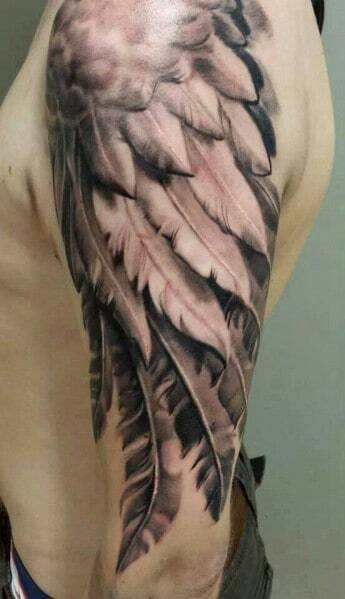 Truly dream up something all of your own while you go through them. 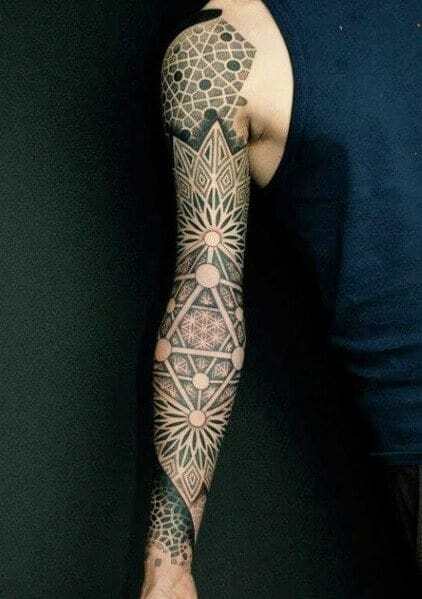 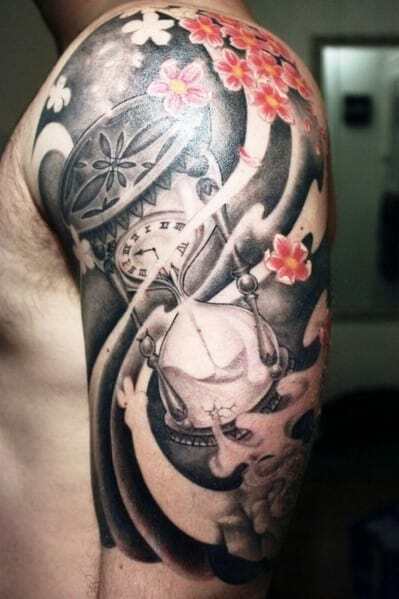 From geometric and tribal, to koi, clocks, wings, bones and more, the possibilities are endless. 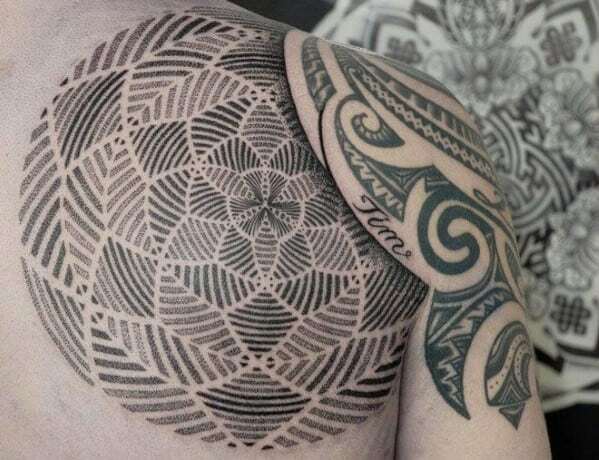 Forget about figuring out what tattoo you will go with for a moment here or even how to get a tattoo in the first place, and instead think about what the right one means to you. 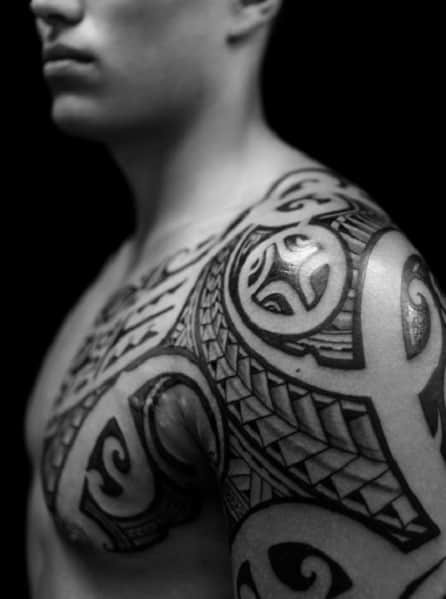 What does it represent, and why do you want to always remember it?